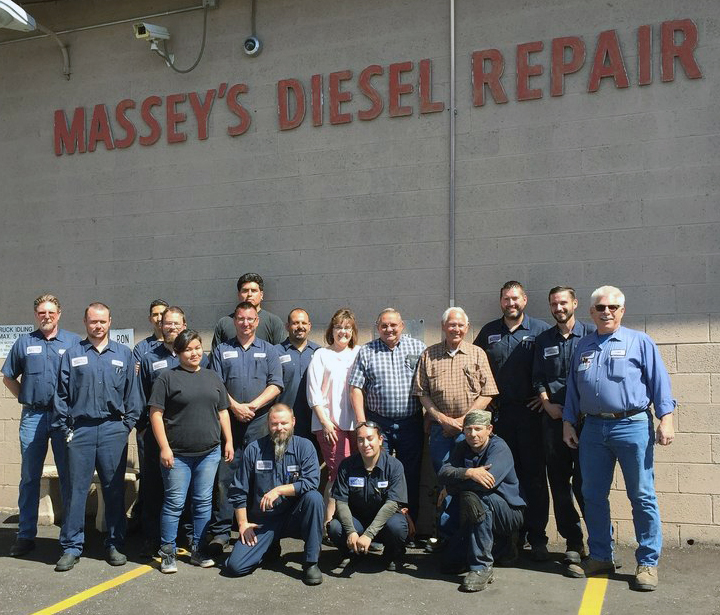 Our last stop before returning to Lake Havasu City was Massey’s Diesel & RV Repair in Phoenix, AZ. 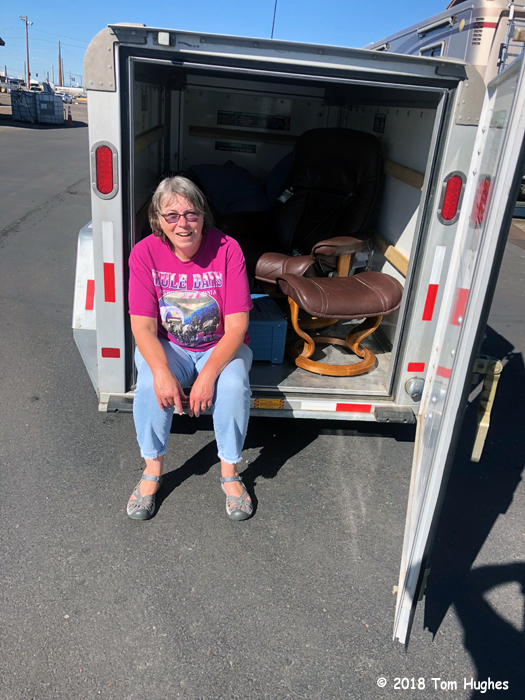 Every year we stop to get our now 17-year-old Newmar DP checked out. From favorable comments on the online RV forums, this year we decided to try Massey’s. It looks like the right decision. 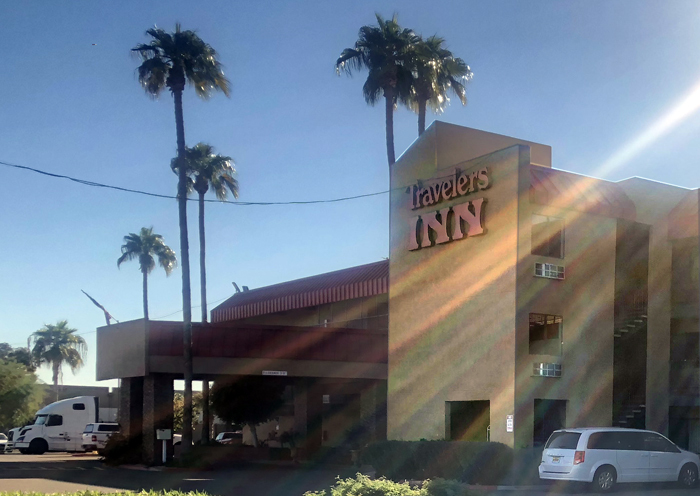 We dropped our RV at Massey’s so that they could evaluate what needed to be fixed, and we stayed overnight in a Traveler’s Inn. Our room could best be described as an ash tray and we vowed to only stay one night. We decided to have it all fixed, including replacing the rear air bags — which alone should cost about $2,000. C’est la vie. 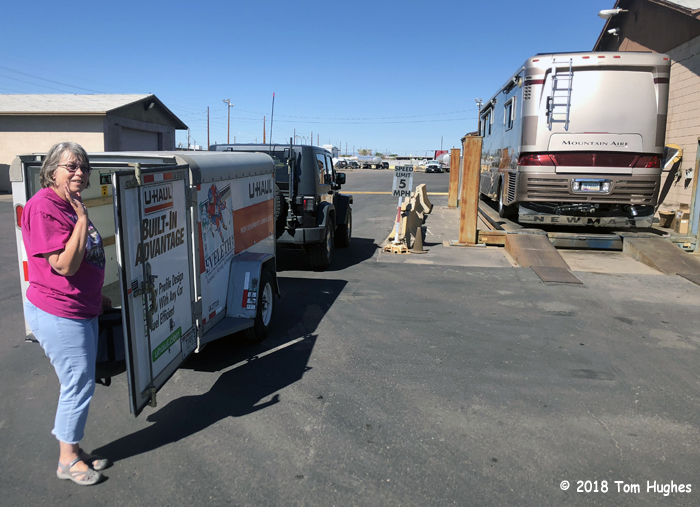 However, since the repair work was going to take several days, we decided to rent a U-Haul, pack up some essentials, and drive back to Lake Havasu City. This will only take a few minutes to load up . . .
We left Phoenix with our packed U-Haul early Saturday afternoon and arrived at our Crazy Horse Campground park model at dusk. It was worth it.